2011 February «Suad Bejtovic Photography etc. Suad Bejtovic Photography etc. As I mentioned before, this past January I went to Puerto Vallarta, Mexico, for some well-deserved rest and relaxation. Alas, I get antsy if I spend too much time sitting by a pool or on a beach, so I eventually have to do some exploring. 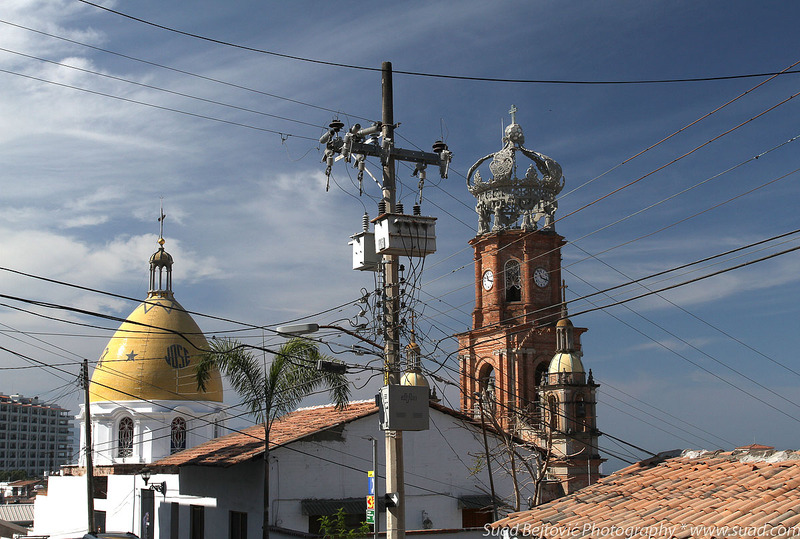 Puerto Vallarta is a fairly large town, built on tourism, where flashy condominium buildings, villas and hotels meet the traditional, humble dwellings of the local workforce. 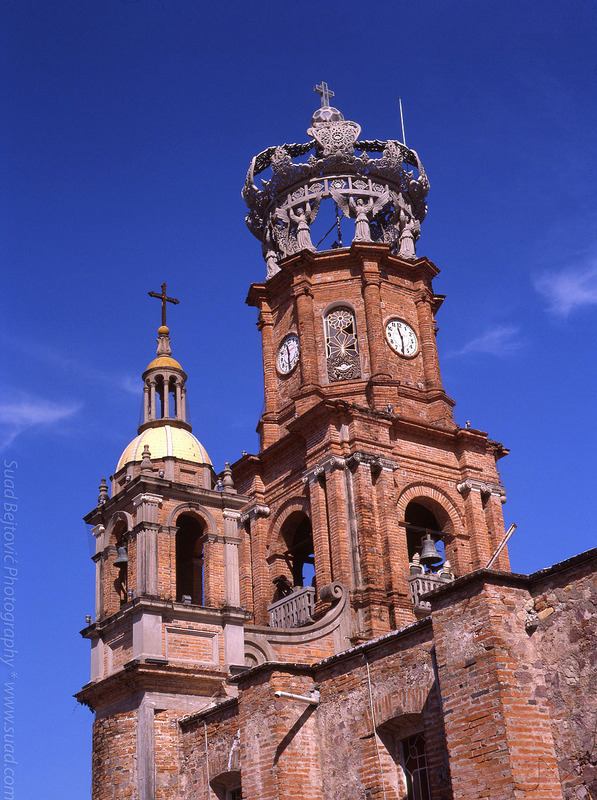 Dominating the downtown area is the unique Church of Our Lady of Guadalupe, with its signature crowned tower. The church was being built throughout the opening decades of the 20th century, and the main tower was not completed until 1952. The tower concludes with quite an interesting crown, which was said to resemble the crown worn by the mistress of emperor Maximilian in the 1860s. On top of the crown is a cross sitting on what seems to be a soccer ball. Although the church is rather prominent in the city, it wasn’t easy getting a clean look at it. I climbed up and down some side streets, and failed to convince a hotel official to make a restaurant available to me where I would be directly above the church. From the street level, the view of the tower always included power lines going in several different directions. It was quite frustrating, until I decided that the network of cables could be its own subject and embraced my misfortune; the resulting photo is shown here. My luck changed when I got to the street behind the church; a door was open and I saw two women sitting across from each other at a desk. One of them seemed to be some kind of an official and fortunately knew more English than I knew Spanish, and, even more fortunately, asked the other lady to accompany me into the inner courtyard to take some photos. It turned out that the church now also doubles as a school. As quickly and as respectfully as I was able, I fired off a total of four shots: two with my digital Canon 7D, then one with my Elan 7 camera with Ilford HP5 Plus black-and-white film in it, and, finally, one shot with my Mamiya 645 1000s and Kodak Ektachrome slide film. That shot turned out to be the winner, with a lot of nice details and pleasing colors that I tweaked just a little.